Microscope World had a customer several years ago in the agriculture field. This particular customer was looking at moth pupa in sunflowers. A pupa is the life stage of some insects that undergo transformation. These insects go through four stages including: embryo, larva, pupa and imago (adulthood). Pupae are inactive and can not usually move around. They typically have a hard protective covering and are often camouflaged to prevent predators from eating them. 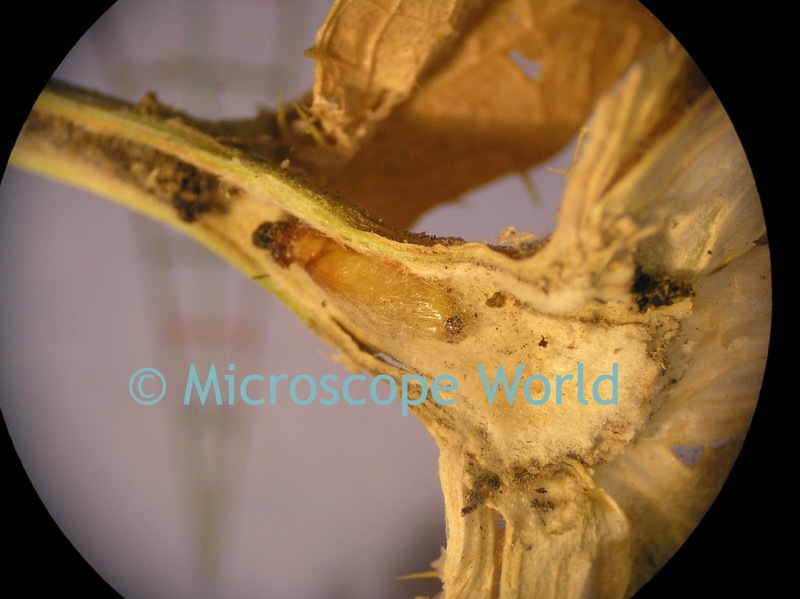 Moth pupa resting inside a sunflower stem - you can see it just above the word "Microscope". 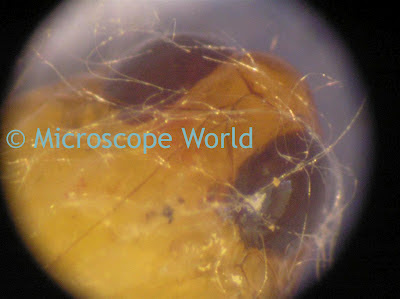 This is the head of the pupa, captured with 80x magnification using a stereo microscope and a consumer SLR digital camera, and a digital camera adapter.